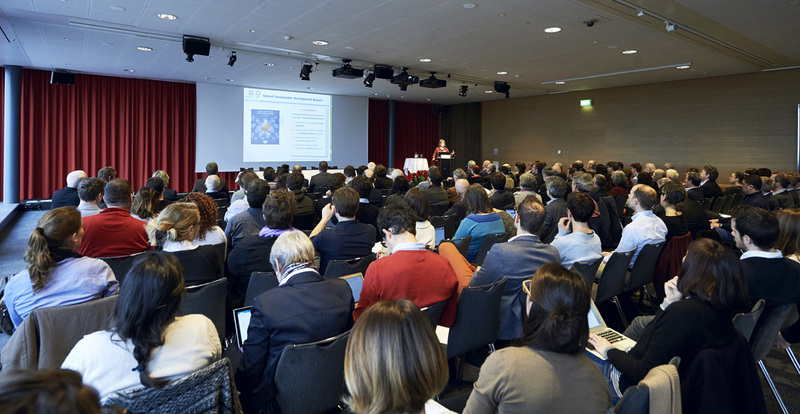 ALLEA, the European Federation of Academies of Sciences and Humanities, will celebrate its 25th anniversary during its annual General Assembly, hosted by the Swiss Academies of Arts and Sciences. To celebrate a quarter century of European academies’ cooperation, ALLEA President Antonio Loprieno and EU Director-General for Research and Innovation Jean-Eric Paquet will deliver commemorative speeches inspired by the symposium theme “Science and Society in Present-Day Europe”. The ALLEA Madame de Staël Prize for Cultural Values is annually awarded to eminent scholars and intellectuals whose work represents a significant contribution to the cultural values of Europe and to the idea of European integration, thereby promoting and strengthening an understanding of Europe as multifaceted, intellectual, open and vibrant. This year’s laureate is economist Mariana Mazzucato, who will receive the prize during the award ceremony in Bern on 8 May. What role can European academies play to provide a bridge between production and diffusion of knowledge to and with society? How can they contribute their share to anchoring the values of the Enlightenment upon which scientific progress is based? The scientific symposium Science and Society in Present-day Europe will discuss these questions and seek for responses in four sessions dedicated to the topics Science Policy, Science in Society and Science Advice from different angles. You can now register to the conference and follow the updates of the programme. The business meeting discusses strategy, governance and policy matters and is restricted to delegates of ALLEA Member Academies. ALLEA will celebrate its 25th anniversary in the opening of the conference with special addresses on the role of academies in European societies. On this occasion, the 2019 All European Academies Madame de Staël Prize for Cultural Values will be awarded to an eminent scholar or intellectual whose work represents a significant contribution to the cultural values of Europe. The commemorative event will be followed by a festive reception. Guided scientific tour through the city of Bern, including dinner at a surprising location. The Swiss Academies of Arts and Sciences invites participants of the ALLEA General Assembly to a day trip to Basel’s scientific facilities. Please be aware that the tour will finalise at 16:30 and a bus transfer is provided to Bern from Basel. The expected time arrival is 18:00.